Marvel continues collecting its classic Golden Age material, reprinting early adventures of Namor! 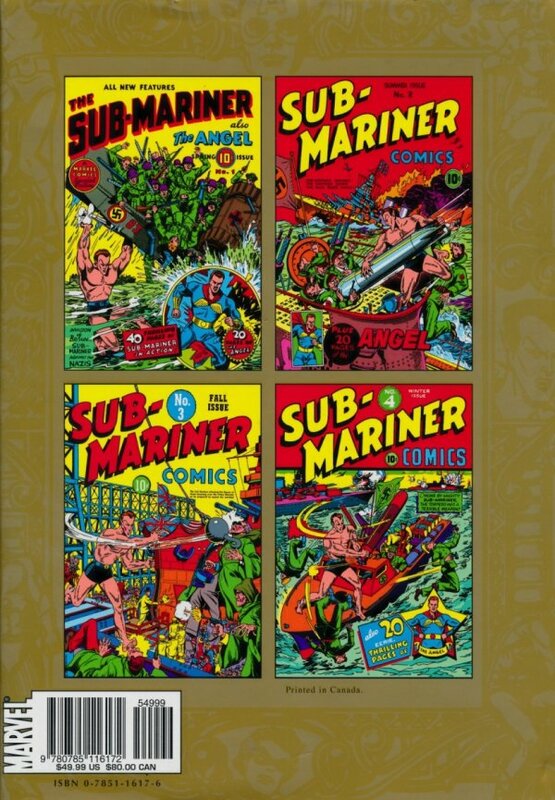 This monumental hardcover volume remasters and restores the first four historic issues of SUB-MARINER from 1941. 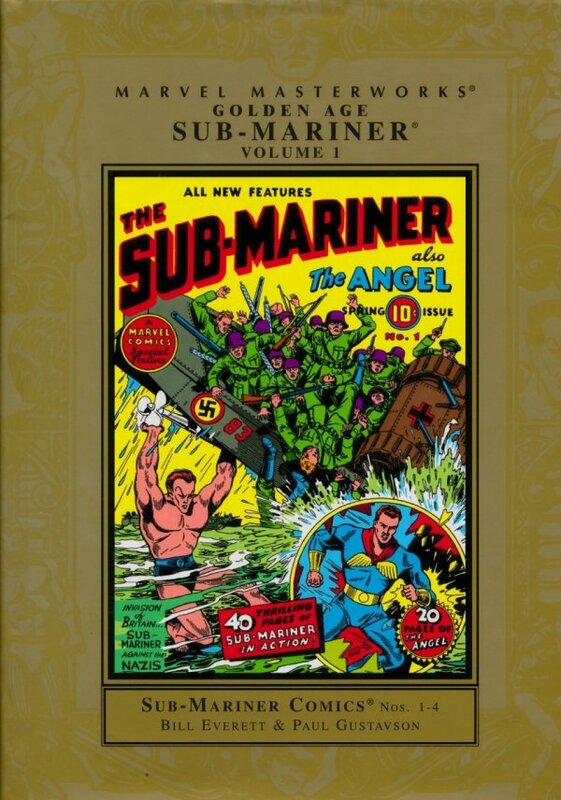 See the Sub-Mariner battle Nazis in defense of his underwater kingdom; also featuring the adventures of the Angel!